The contortionist lifts a small silver metal hoop from the ground, brandishing it with a few simple but impressive movements. She passes it to a man in the front of the crowd, in order to establish that it is solid. When he hands it back to her, she passes her entire body through it, extending her limbs in fluid, dance-like motions. 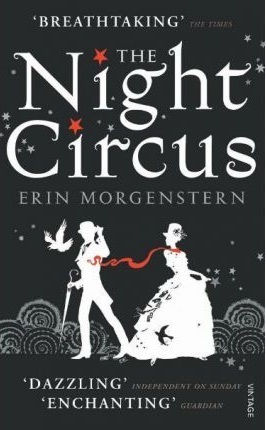 - p. 137 The Night Circus by Erin Morgenstern. I got this book for Christmas, and I've been meaning to read it ever since. Great teaser! Great teaser! I've seen this book around but not sure if it's for me. It's also super long from what I understand. Thanks for stopping by. It's not long at all. It's average length for an adult novel. My copy is 496 pages but the hardback is around 350 pages. I've seen this book around too. I haven't added it to my TBR mountain yet though. I hope you are enjoying it. My teasers this week are from Taking a Shot by Jaci Burton and Bloodlines by Richelle Mead. Happy reading! I've always been amazed by contortionists, so I'm sure I'd love this book. You chose a great teaser. nice teaser, would be cool to see that move, lol. Here is my TT and I am now following you too.